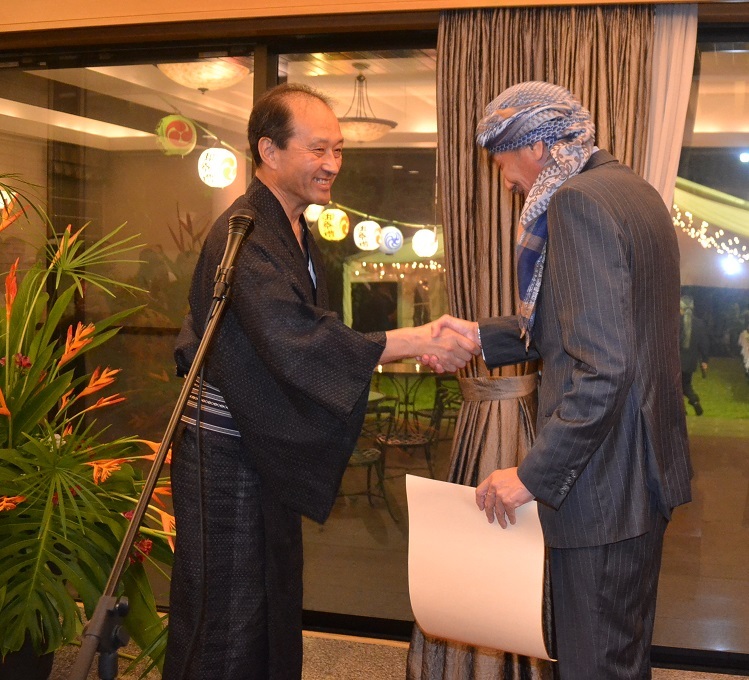 Honorary President of ZJA, Mr.Tsuyoshi Shimaoka was awarded Certificate of Appreciation from Minister for Foreign Affairs of Japan. 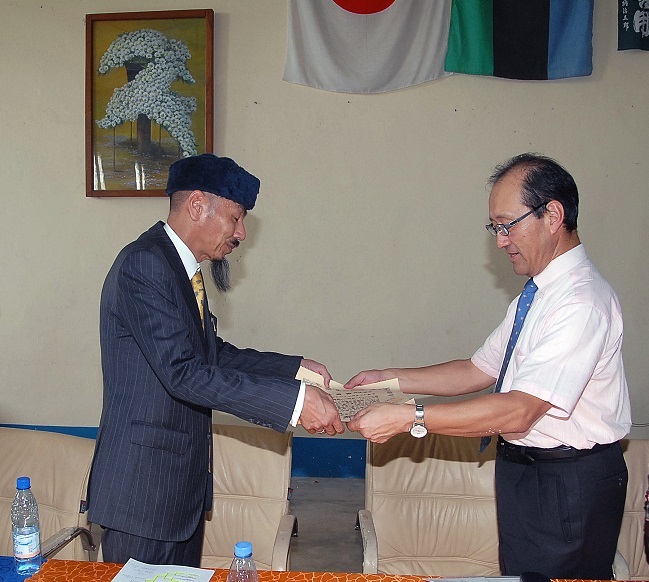 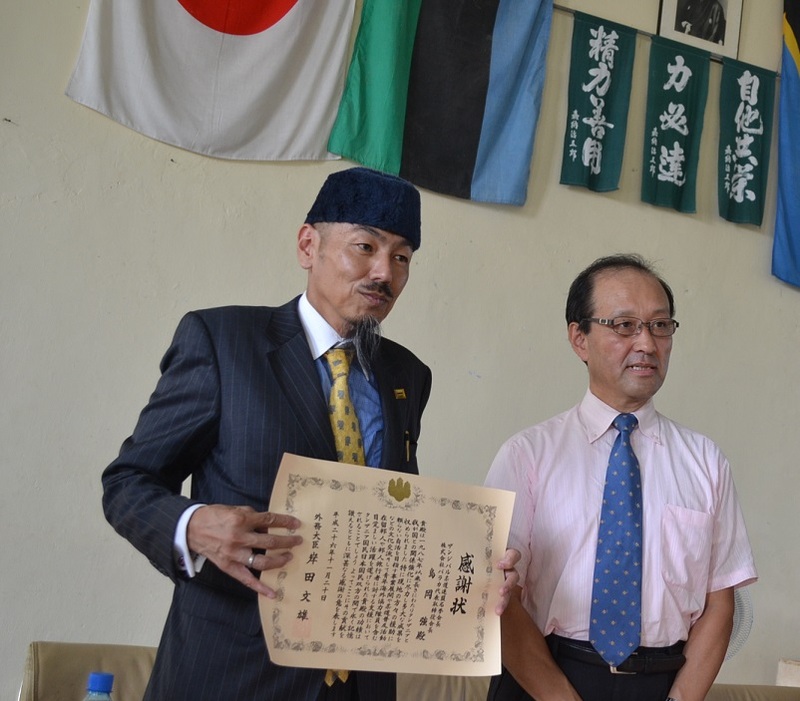 and on 21/12/2014 in the clothing ceremony of Zanzibar Budokan Judo Cup at Zanzibar Budokan in　Amani. 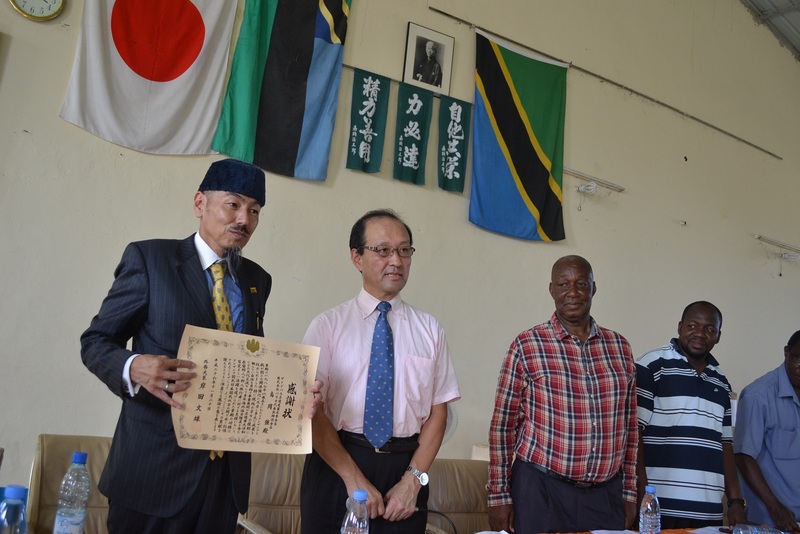 The reason for awarding are his long efforts to support Zanzibar, Tanzania. 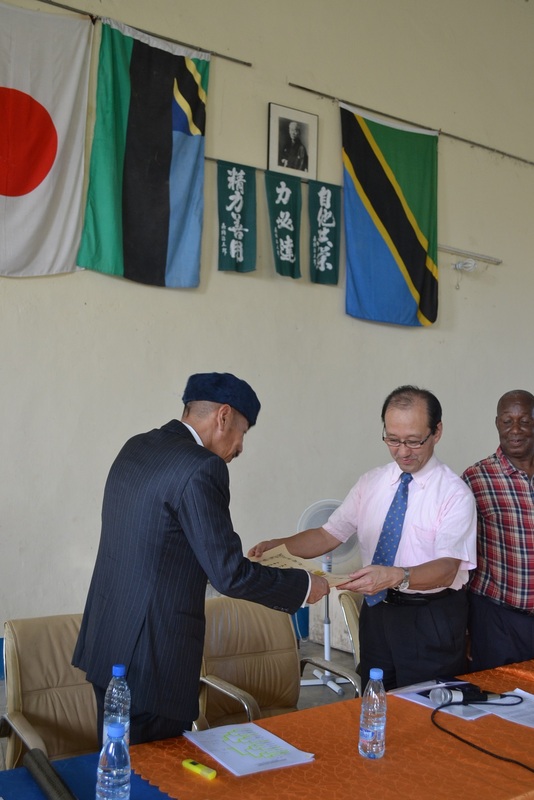 We would like to express our heartfelt thanks to you for making efforts and getting tremendous results in order to strengthen the relations between Tanzania and Japan since 1987. 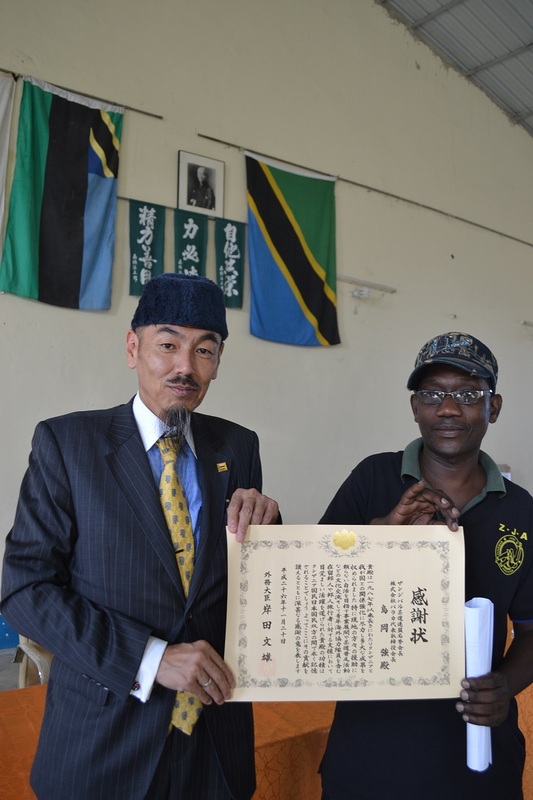 The business development which aims local people at self-support without aid from other countries, cultural exchange such as spreading Judo and huge support for Japanese tourists and residents including Japan Overseas Cooperation Volunteers, all of these your achievements will remain in both Tanzanian and Japanese people's hearts eternally. 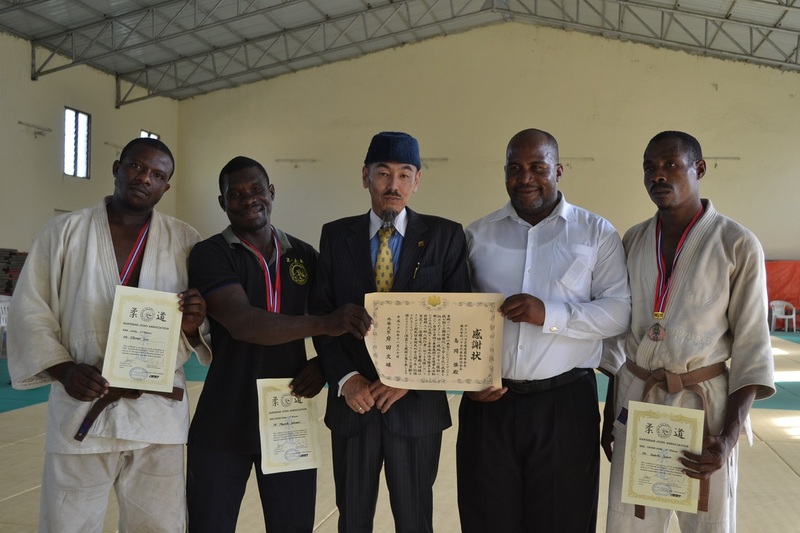 We hereby present this certificate in recognition of your dedication and commitment.